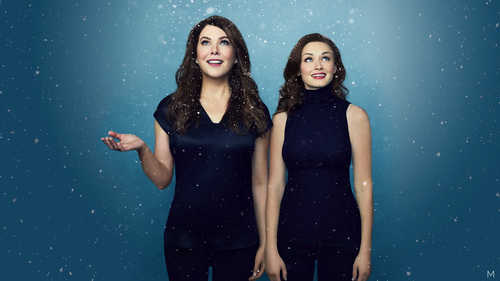 Gilmore girls revival fond d’écran. if toi would like a fond d’écran and not a poster :). HD Wallpaper and background images in the Gilmore Girls club tagged: photo. This Gilmore Girls fan art might contain robe de cocktail, gaine, portrait, headshot, gros plan, and closeup.